Today’s ride was the “No Tuna For Me” route. The last time we’d done this route, I noticed another hot-rod mailbox along the way, but I wasn’t able to get a picture of it that day. So today’s mission was to find the mailbox and add it to my collection. It was a small group today. Just Silvio and me. But this worked out all right, since we’re pretty evenly matched, and so we didn’t have to wait for any slower riders. We just cruised through the route at a nice, brisk pace. 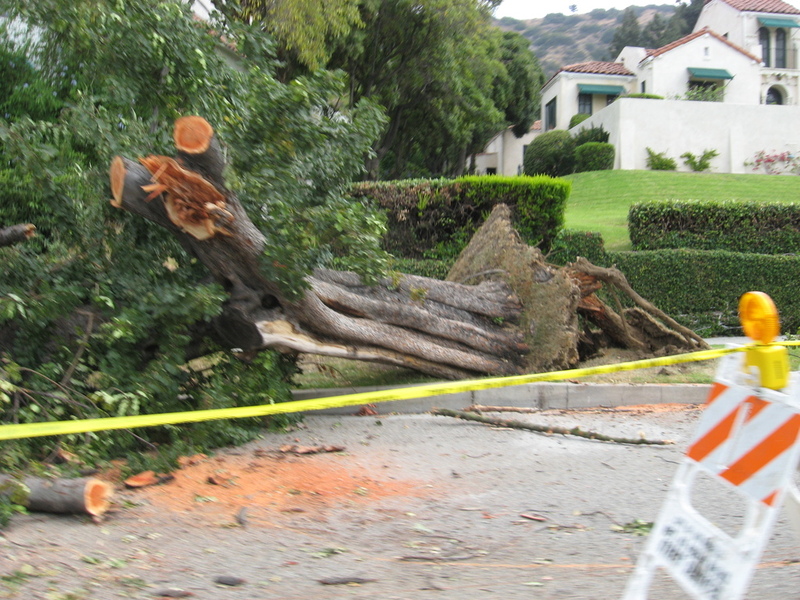 We rode across Eagle Rock, where we saw a large oak tree that had apparently fallen over. Then it was on, across Glendale and into Burbank. We briefly met up with a large group of riders there, but then they turned off to go up La Tuna Canyon. We went straight, into Sun Valley and the auto-wrecking ghetto there, and then past the dump and on into horse country. 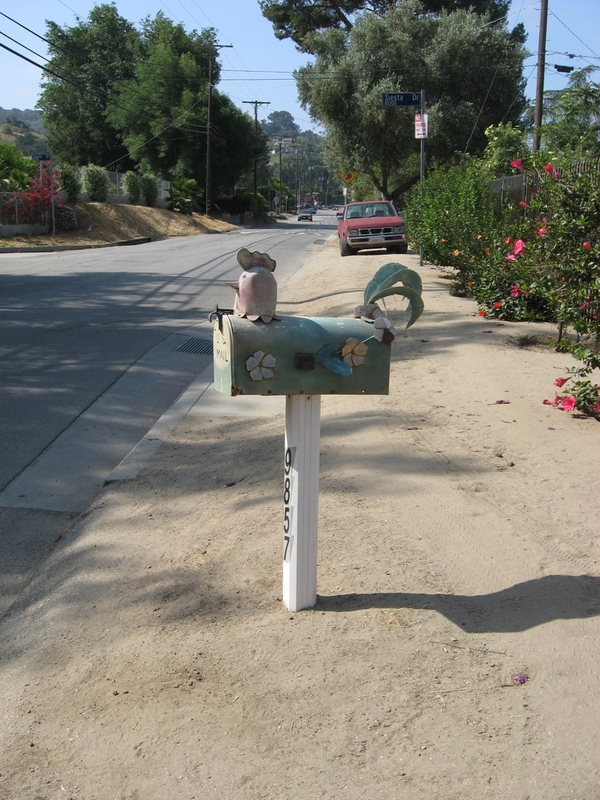 That was where we saw the chicken mailbox, which was pretty funny. Coming out on Sunland Blvd, I spotted my quarry. I bagged that mailbox, and now I have nine in my collection. So the day was a success. We rode across Tujunga and then down into Montrose. Up Hospital Hill, where we stopped at Goldstein’s Bagels for a snack. Then it was (almost) all downhill back into Pasadena and home. It was a nice ride.